Hey there fellow foodie! 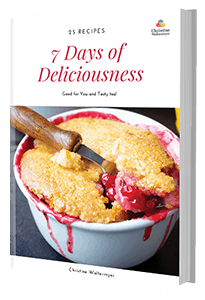 I’m Christine, and I have a gift for you, our 7 Days of Delicousness Cookbook filled with recipes you’ll love. It’s our way of telling you how happy we are you stopped by. Download this Recipe! Enter your name and email to get this recipe. You'll also be added to my mailing list so you are the first to receive other delicious recipes and tips. 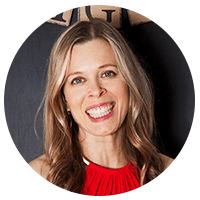 Christine created the Natural Kitchen Cooking School to help people live healthier, happier lives. A wellness chef and author, her private chef clients have included well known celebrities and pro athletes.